Funky, cool chandelier! Must make for a warm, golden light in the evenings. That cheddar ale soup sounds very appetizing to me. 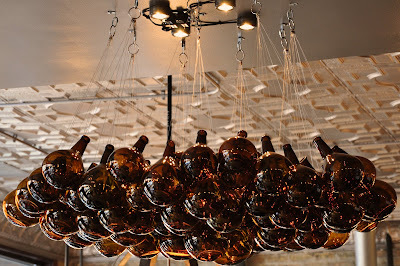 Great idea for a chandelier. Bacon popcorn? That sounds interesting.